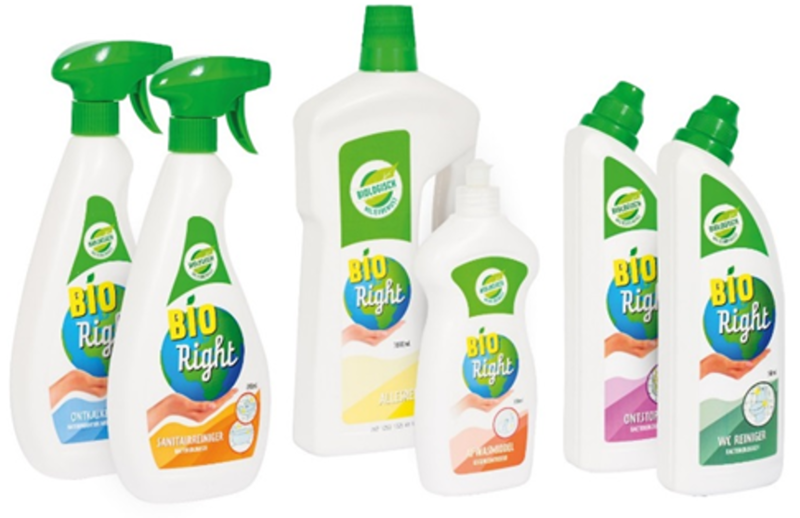 BioRight is the only biological brand for household cleaners in the Netherlands. After years of research in our own lab we developed the unique BioRight products. We are proud to say that all BioRight products contain 99,8% natural ingredients. The products are 100% biological degradable. For three products, BioRight uses natural, good bacteria which are researched and approved by TNO. This means that the BioRight products are safe for humans, animals and the environment. We hope that our planet remains endurable for generations after us and that’s why we also made our bottles recyclable. Because BioRight cares for you and the world around us. Because the products contain natural ingredients, the products clean even better than other household cleaners. They also have a long-term effect. And did you know that biological products are much safer than ecological products? Biological products consist completely of environment-friendly raw materials, while ecological products only have to contain one environmentally friendly product. Check our brand website for more information.